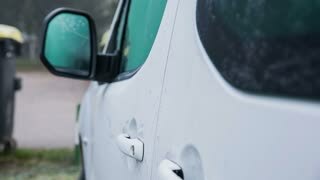 Locking car with mirrors closing. Automatic lock on car with lights blink and side mirrors close in. 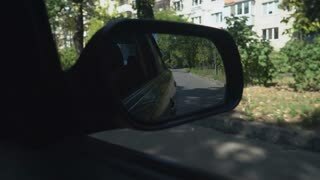 Fisheye lens of man driving car front view slow motion. Portrait shot of male driving car, steering wheel and looking in mirrors. 리가, 라트비아 - 년 10 월 (10), 2012 : 거울 설치 트리 에글 휴양 공원에서 리가의 크리스마스 트리 500 년 상징, 리가, 라트비아 년 10 월 10 일, 2012 년의 주위에 산책하는 사람들. ALVIS 및 Inguna Zemzars에 의해 디자인. 4k - Upward pan of a sleek and modern designed bathroom sink and mirrors in a model house for sale in Canada. Ungraded: Spinning disco ball shines with multi-colored mirrors under the ceiling of the club. Scenic Doha Grand Mosque with minaret illuminated, mirrors on the outdoor marble pavement. Qatar State Mosque, Middle East, Arabian Peninsula in Persian Gulf. Twilight shot.